Guernsey FC will play higher league opposition in their first two pre-season matches in July. The Green Lions will travel to Dorset to face Southern Premier League side Weymouth on 12 July. Guernsey will also face Billericay Town, although a date and venue has yet to be announced for the fixture. The Isthmian Premier League side beat Guernsey in the first game ever to be played in the competition on the island. 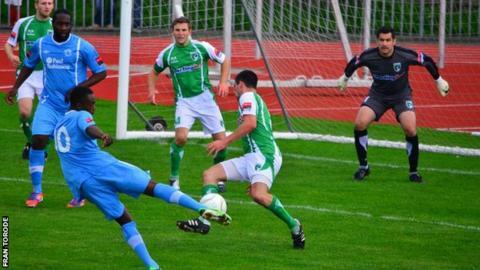 Guernsey say they are hopeful of announcing more friendlies soon.